I started going to sleep away camp when I was 11. For any of you who loved their summer camp even half as much as I love mine, you’ll understand how nostalgic I’ve been feeling for those childhood days filled with stargazing, lake swimming, and campfire singing. The truly amazing part about the summer camp experience is that each one is utterly unique, with a set of traditions that have been passed between generations and can only really be appreciated by those who have experienced them. Traditions like fireworks on the first night to celebrate Canada Day (yes, my summer camp was in Canada), a day called Hockey Marathon where you only play hockey…all day (again, Canada), and where every Wednesday night is BBQ night, where you eat outside, picnic style, and end the feast with a heaping plate of juicy watermelon. 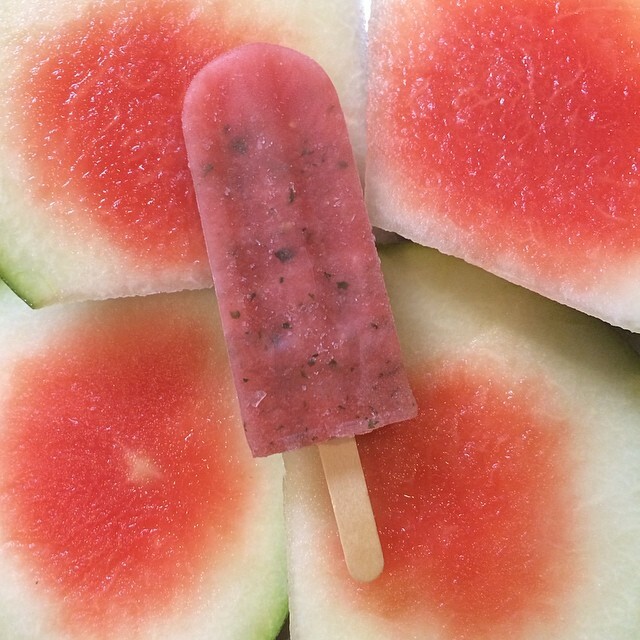 Since those childhood Wednesdays, every time I eat watermelon it takes me right back to camp, and when I indulge in a Watermelon Mint Pop, my nostalgia goes wild. Starting with a few full watermelons, we carefully cut off the rind to extract as much of the red and juicy watermelon meat as possible. After throwing in some finely chopped fresh mint, and blending it up with some fancy kitchen equipment, these pops are light and refreshing. Letting the watermelon be the true base of the pop, and the mint act as a simple garnish, there’s nothing more perfect on an excruciatingly hot DC summer day. Our other favorite summertime fruit, which lends itself as perfectly to pops as it does to salads, is the peach. When peach season is in full bloom we go gaga, and have created three tried and true pop flavors all indulging in sweet, peachy goodness: Peach Hibiscus, Cinnamon Vanilla Peach, and Peaches'n'Ginger. The Peach Hibiscus is juicy and just the slightest bit tart, deep red in color and ideal for a day at the beach. Cinnamon Vanilla Peach is easily defined as a "dessert" pop, reminiscent of peach cobbler and satisfying to any sweet tooth. Finally, Peaches'n'Ginger is perhaps the most genuinely "peach" of the three, where the spice of ginger accentuates the brightness of the peach. All three peach pops are scrumptious, and will only be around for a limited time, so make sure you grab 'em while you can. 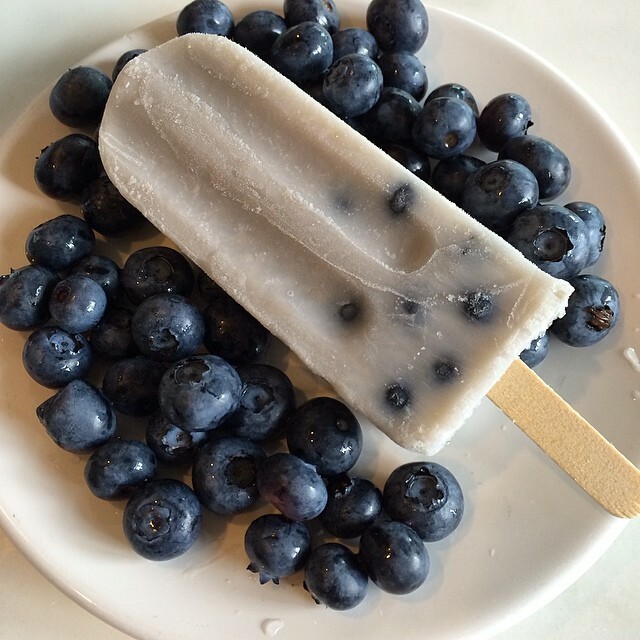 With other seasonal flavors popping on and off our menu (pun intended), like Sweet Cream & Corn, Blueberry Pancake, and a yet-to-be-determined Apricot flavor, we're excited to be offering some of our favorite, very limited edition pops here and now. 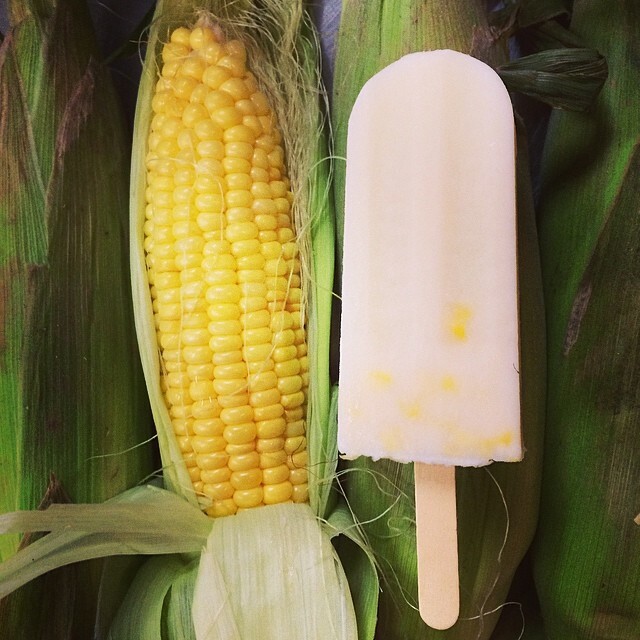 August is bound to be a delicious month, with fresh, local ingredients and refreshing flavors. 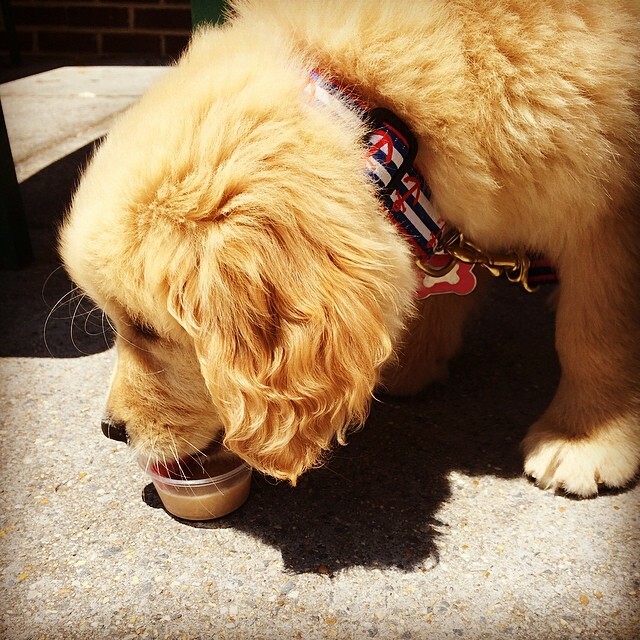 Finally, we are declaring August "Puppy Pop Month" at Pleasant Pops. Throughout the entire month, if you Instagram a picture of a puppy eating one of our temptingly tasty puppy pops and use the hashtag #PleasantPups you will be entered to win 50 free puppy pops! The winner will be chosen based cuteness, how many likes it gets, and how much that puppy seems to be loving that pop! Spread the word and spread the puppy love!